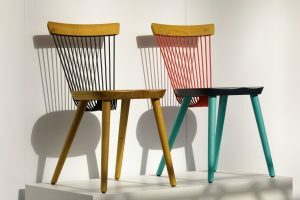 Founded in 1995, 100% Design was London’s first dedicated stand-alone design show and delivered a then ground-breaking idea of showcasing contemporary design. 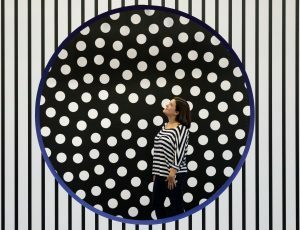 This year, the show triumphed as visitors experienced a thoughtfully curated exhibition featuring high-calibre exhibitors, exceptional new features and an unrivalled talks programme with some of the world’s leading design talents. Returning to the show’s roots as the destination to discover new ideas and emerging talents, 100% Design introduced new features for 2018 which included 100% Forward, 100% Futures and Design Fresh. Curated by Barbara Chandler, Design Editor of Homes & Property at the London Evening Standard, 100% Forward provided visitors with a vibrant and enticing entrance to the show, spotlighting seven emerging design talents each championed by an established designer who launched his/her career during the first decade of 100% Design. 100% Futures, spearheaded by Max Fraser with an expert panel, brought together a selection of enterprising visions for future improvements to city life. The selection of projects celebrated ideas that reduce waste and power consumption, automate construction, lower congestion, increase mobility and aid wellbeing. 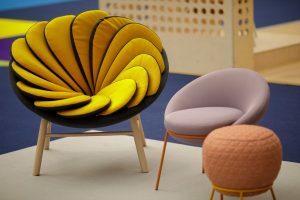 Design Fresh, also a new feature for 100% Design 2018, provided a platform for 22 breakthrough designers to showcase their works. Each designer was chosen for their explorative ideas and original products ranging from plush interior accessories, intricate ceramics to contemporary furniture and everything in-between. 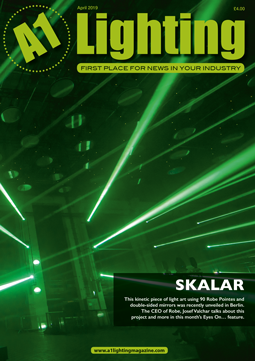 The inaugural Design Fresh Awards were presented to; Joe Wanham for Product of the Year for his Eris Bar Stools; Gavin Keightley’s Aeolian Processes for Innovation; Atticus Durnell with That’s Caffeine for Business Prospect Award and Freya Whamond & Sam Bolt – Troo Studio for One to Watch. 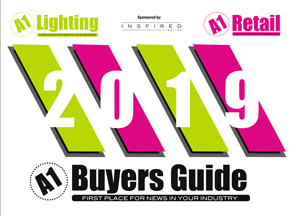 With architects and designers making up 73% of visitors, the newly launched 100% Build London presented a unique selection of brands showcasing the latest construction materials, innovative glazing technology, exterior surfaces and integrated automation technology. Amongst the exhibitors Riko stood out presenting prefab homes designed by Philippe Starck. As part of 100% Build London, 100% Design introduced The CPD Hub in partnership with BSI. Over 200 visitors attended a variety of accredited sessions from the likes of CEDIA, BRE and more. 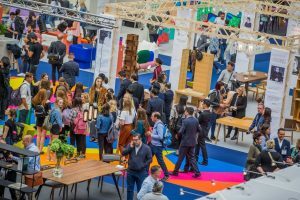 Running across the four day event, Talks with 100% Design was attended by more than 1,300 visitors in the main auditorium designed by Projects Office. The line-up of speakers included industry-leading names such as Thomas Heatherwick, Marcel Wanders and Kelly Hoppen MBE. Other participants included designer Ini Archibong, leading architect Farshid Moussavi, designer Yinka Ilori, lighting designer and artist Flynn Talbot, interior designer Suzy Hoodless and Rabih Hage, the revered designer behind this year’s Press and VIP Library at 100% Design. As well as an outstanding year for the show 2018 marked the launch of the brand new West Kensington Design District at the heart of which stood 100% Design. The district was comprised of a stellar line-up of design destinations and cultural institutions which included the newly opened Japan House, Design Museum and V&A Blythe House to name a few. 100% Design returns for its 25th anniversary edition in 2019 and will take place Wednesday 18th – Saturday 21st September 2019.